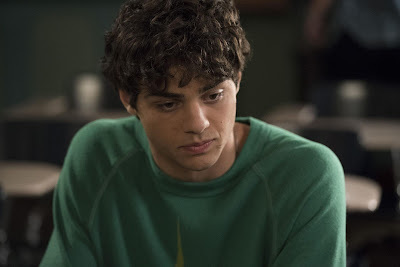 If you had Internet dreamboat and To All The Boys I've Loved Before star Noah Centineo as the one who would eventually wield the sword of He-Man, you're a damn liar. Sorry, Kellan Lutz, but the job appears to be taken. The Wrap reports Centineo is in talks to star in the forever-developing Masters of the Universe movie, in the role of He-Man. Presumably he will also play He-Man's civilian alter ego Prince Adam, a resident of the planet Eternia who transforms into a powerful warrior when he wields the Power Sword and draws energy from Castle Grayskull. He-Man is locked in a seemingly eternal battle against the evil Skeletor. Of course, this is all based on a popular toy line, as most of these classic properties tend to be, and was adapted into multiple comic books and a comically-bad 1987 movie that starred Dolph Lundgren and Frank Langella. 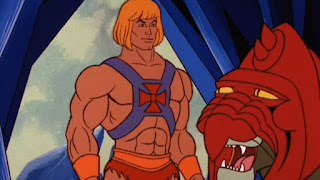 The most recent attempt to make He-Man relevant has been in the works for years with numerous starts and stops. Iron Man screenwriters Matt Holloway and Art Marcum co-wrote the script with brothers Adam and Aaron Nee (Band of Robbers) currently on board to direct. Previously, filmmakers including McG, David Goyer, Rian Johnson, and even Phil Lord and Chris Miller eyed or briefly held the gig with nothing going forward.